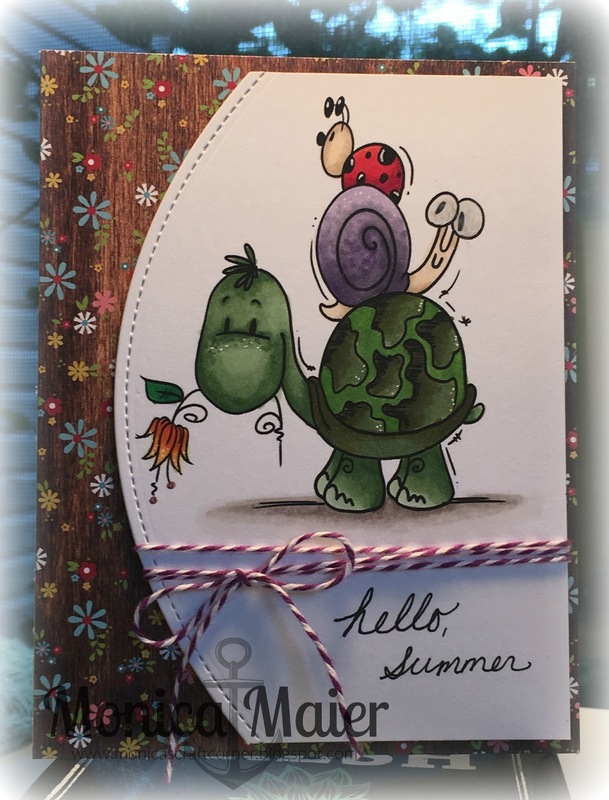 Here is my last card for our Summer theme challenge over at DieCut Diva's. We are thankful for our wonderful sponsor Bugaboo stamps! I colored the image with copics and used a die to cut the panel on one side. I trimmed the panel down so that it would "centered" on three sides. Wrote my sentiment and wrapped twine around the panel, before adhering it to some kids foam. I wanted it to pop off the cardbase a little. Thanks as always for stopping by and have a great day!